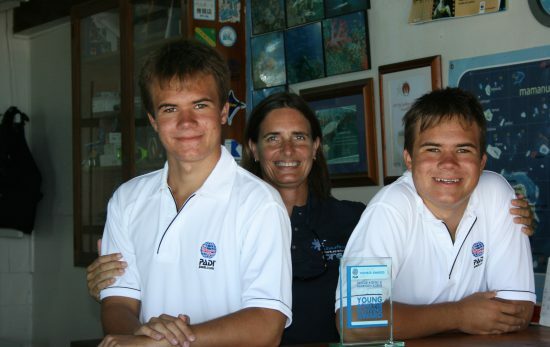 Margo Peyton initially started Kids Sea Camp as a one-week getaway designed to introduce her own kids to diving. Now, nearly two decades later, it has snowballed into a global community: She and her family run 15 weeks in 13 countries, including the Cayman Islands, Bonaire, Honduras, Fiji, Palau, Yap and more. What’s the secret behind Kids Sea Camp? Kids Sea Camp creates the avenue for us to have multi-generational travel — that’s one of the things KSC has been majorly successful at. We have 5-year-olds in the water doing SASY, and 70-year-olds taking Divemaster courses. We offer activities, programs and education for every member of the family. And it’s place where everyone can feel welcome. What defines a family? At KSC, we have two moms, we have two dads. We have every race and every religion at our events. There are families with adopted children and families who bring nieces and nephews. It’s a fun, relaxing, peaceful place to be — which, in our world, is growing increasingly important. How’d it all start for you? I grew up on Cape Cod, Massachusetts, with a father who was a diver. When I was 6, he would put me in a tidal pool breathing from his regulator. I spent my childhood in the ocean, and was a freediver first. It was never a question of if I would get PADI certified, but when. It happened when I turned 22. My dad gifted me my Open Water Diver certification for my birthday. One thing led to another, and I moved to the Cayman Islands, working first as a Divemaster for Bob Soto’s Diving. Then I transitioned to a career as an international travel consultant. 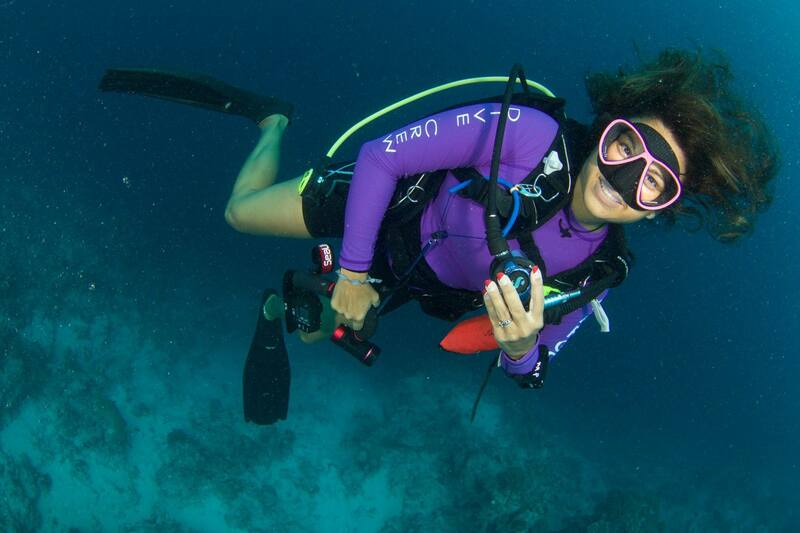 How have PADI and Kids Sea Camp changed your life? For a while, I was a single mom and I didn’t want to leave my kids behind when I traveled. My whole career up to that point had been about dive and travel. I had to figure out a way to include my two kids — so I started Kids Sea Camp because of them. And now, it feels like the family-dive-and-travel business is growing in leaps and bounds. What makes KSC so successful is that it’s not just a business, it’s personal. It’s about family ties and creating connections around the world. PADI has made this job, this company possible. For starters, only PADI offers SASY (Supplied Air Snorkeling for Youth) for ages 5, 6 and 7. 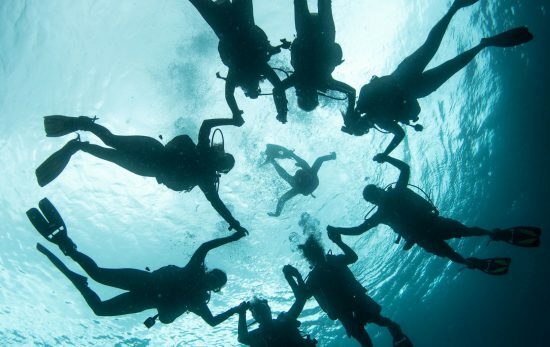 PADI offers Seal Team programs for kids ages 8 and older; Junior Open Water Diver for kids 10 and up; AWARE – Fish ID specialty courses for certified kids. Although I can’t say we offer Dry Suit Diver or Ice Diver, we do offer most of the others PADI specialties. 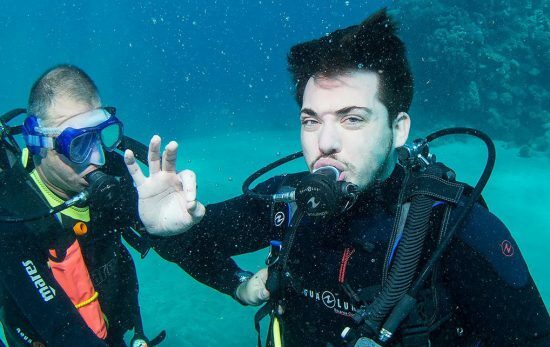 What has it been like to use scuba as a tool to change so many kids’ lives? It’s not just about changing kids’ lives. One of my most heartfelt moments goes so much deeper than just introducing scuba to a child. A few years ago, we had a family come on a KSC event: a mom, dad and their three children. Two of the children were older, 10 and 13 or so, and the 5-year-old was in SASY. After they returned home later that summer, the father had a heart attack and passed away. The mother and father had been together since high school and diving had been an integral part of their lives, and an integral part of their children’s lives. Some time had passed before the little 5-year-old said, “You all got to dive with dad. We haven’t been diving since he died. 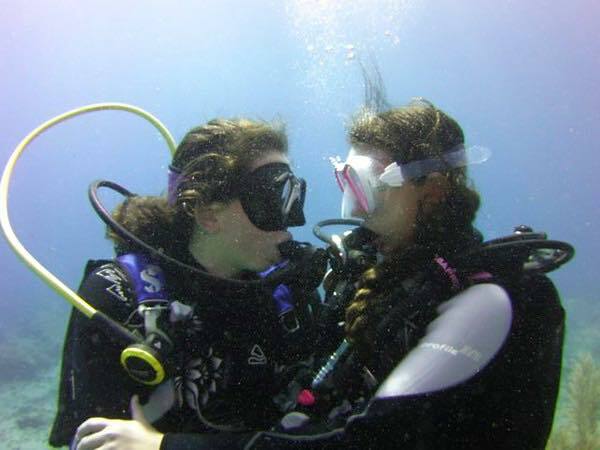 I want to honor dad and I want to become a diver.” So the mom called me and told me she had to do this. I was available to her throughout the week. Her older kids were very excited to dive again as a family, as that was something they hadn’t done since their father passed. 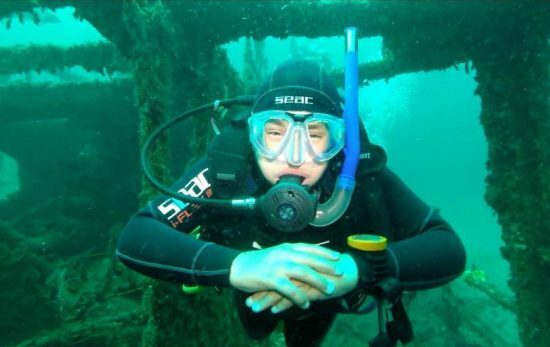 But the mom had trauma – she had never been on a dive without her husband. Out on the dive boat, she was shaking. “I don’t know if I can do this,” she kept saying. Her son and daughter were looking at her, hopeful. They really wanted this for their family. I slipped into the water with her, and she put her face in the water and started to cry. “I cant do this,” she said. So I held her hand and I told her, “Look in the water and look down at your son.” He was looking at her, waving and giving her the thumbs up. She said that she has to do this. And together, we just snorkeled. When she lifted her head, she has tears in her eyes. “My husband would want me to do this,” she said. She held my hand while we dove. I could tell she was beginning to feel empowered. Afterward, she said that her husband had been with her through the whole dive. That was 4 years ago. Her daughter just became a Divemaster with KSC. That family now comes back every year and celebrates diving together as a family. It was such a beautiful, heartwarming moment — when those things happen, it becomes so clear that this is my purpose. I am elated that KSC is growing in such leaps and bounds. I’m very excited about the IDC that we are doing in Bonaire, August 5 – 19, 2017. It’s the first time ever that we are offering professional courses — and the majority of candidates have been with us since they were SASY students! Next year, we are also adding Indonesia’s Wakatobi Dive Resort, one of PADI’s newest Five Star Resorts, as a new destination. We will also be introducing a week in Dominica. Lastly, through Ocean Wishes, we are certifying more and more local children in the communities we go to, including Fiji and the Philippines. In Fiji, we raised money for floors in the schools and brought over loads of school supplies. In the Philippines, we are supplying clothes and shoes. KSC is much more than just diving. It’s about outreach and connecting humanity. Learn more about Kids Sea Camp and Family Dive Adventures at familydivers.com.